Last night I had an opportunity to be a guest on FOX News’s Ingraham Angle hosted by former Congressman Jason Chaffetz to discuss the horrific violence in Chicago and why the cops can’t solve murders there. Unfortunately, my time to discuss the reasons for the continuing violence in Chicago and why the police are stymied in arresting the perpetrators of these violence times was cut short so I’m using my position with the America Out Loud platform to explain why. First, it’s important to put the issue of Chicago’s violent crime into perspective. With all the media bruhaha about violence in the Windy City; Chicago isn’t even America’s most violent city. St. Louis is; followed closely by Baltimore. As of today, Chicago has already experienced 380 murders. 323 of these killings involved the use of firearms. This equates to roughly 48 murders a month, with 40 people each month being shot and killed by suspects wielding illegal firearms. To date, 2,015 Chicagoans have been shot. This equates to an average of 252 victims each and every month of this year. Extrapolating shooting and murders into a temporal relationship; a citizen living in Chicago is shot every 2:48 hours and murdered every fifteen hours. Statistically, the city of Chicago is far more dangerous for residents and visitors than any city in a war zone in the Middle East where our combat personnel are deployed. Just ponder this for a moment. It is safer to be a combat soldier in a Middle East war zone, than to live in or visit Chicago. Not something you ever see on Chicago travel brochures. Something else of note; our State Department issues “Travel Advisories” to American citizens traveling worldwide to avoid violent areas around the globe. Yet, there are NO travel advisories broadcast as public service announcements on our media networks warning Americans to avoid cities like Chicago, St. Louis, Baltimore, et. al. Why is that? You tell me. Maybe we want to ask the United States Chamber of Commerce that question. With all of the discussion of the serious national epidemic of opioid overdose deaths; it is interesting to know that to date, Chicago’s murder rate amounts to ten times its number of opioid deaths. Speaking of medical issues, the costs to Chicago taxpayers for treating the victims and suspects of gun violence amounts to a staggering estimated $2.5 billion each year. So what would you estimate it costs the city of Chicago to fund hundreds of police officers and detectives to mitigate the effects of thousands of shootings and hundreds of murders each year and arrest the perpetrators? Tens of millions of dollars that the already broke city doesn’t have. You simply can’t ask taxpayers to fund the mismanagement of city officials. So that’s the context of Chicago’s violence problem. Now for the why cops are challenged in arresting the perpetrators of gun violence. It’s actually quite simple. The city’s administration in league with the communities where gun violence is more prevalent, and radical, anti-law enforcement special groups like Black Lives Matter, have successfully managed to disenfranchise the police from their public. The is the goal of the BLM’s “Campaign Zero” 4-D’s plan to disenfranchise, diminish, defund and dissolve the law enforcement presence in high-crime neighborhoods. It’s working. The cops who used to be relatively proactive in stopping, searching, recovering weapons, field interviewing and arresting suspicious persons have been restrained by a USDOJ consent decree. Add the “Ferguson Effect” of the demoralization of police and you now find cops who have simply stopped being proactive in patrolling the mean streets. Now cops when you can find them, are more inclined to only react to crime and incessant calls for service to violent crimes. That’s a huge negative paradigm change. Who can blame Chicago cops for any lack of resonance in preventing crime? Our finger-pointing culture with a complicit mainstream media, are far too quick to blame officers for the socio-criminal ills of a long dysfunctional society that has veered out of control. Cops are labeled as racists, Nazis and killers; even when bodycam footage most often exonerates their actions and identifies those they are forced to shoot as the real assailants and potential killers. Again, some Chicago context is in order. To date, Chicago residents feloniously shot and kill ten times the number of their own each month than the police have killed all year! Yet the false narratives of Black Lives Matter leaders, community activists and the biased news media that police officers kill innocent people of color abound. It’s disgusting and endemic to the culture of the most crime-ridden communities where the innocent remain hostages in their own steel bared homes and senior citizens cower afraid in their beds when darkness falls. The Chicago PD is severely under-manned. Like other metropolitan cities such as Baltimore, New York, St. Louis, Detroit, Dallas and New Orleans; recruitment into the force is significantly down. It takes experienced, dedicated detectives to solve crimes. Chicago is quickly losing its most experienced detectives and officers. The why is obvious. People don’t want to be cops anymore and who can blame them? A recent Gallup Pole documents that police officers enjoy one of the top three most respected and credible professions; but you would never know it if you watched TV or experienced a civil anti-law enforcement demonstration. Cops have become the whipping boys and girls of our increasingly insane society. In Chicago and cities like it, witnesses and victims don’t cooperate with the cops in providing information and identifying gun violence suspects. This is because they are either scared of reprisals; or they are other gang members or drug dealers who plan to “take care of business” themselves. Many don’t trust the police because the anti-cop propaganda is working. So now Chicago, their city administrators, the most vociferous anti-police activists of Chicago’s dysfunctional society are bearing the burden of what they have been sewing for years. Out of control crime and violence. Unfortunately, so are Chicago’s victims. 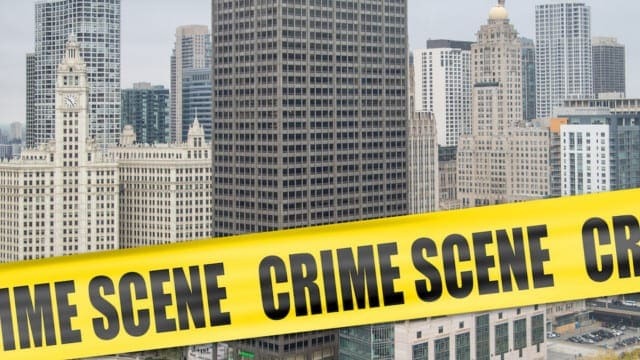 Chicago is merely the bell weather of many of our nation’s most violent cities whose city administrators and citizens should take heed that “What you reap; so shall you sew.” And that’s the truth.